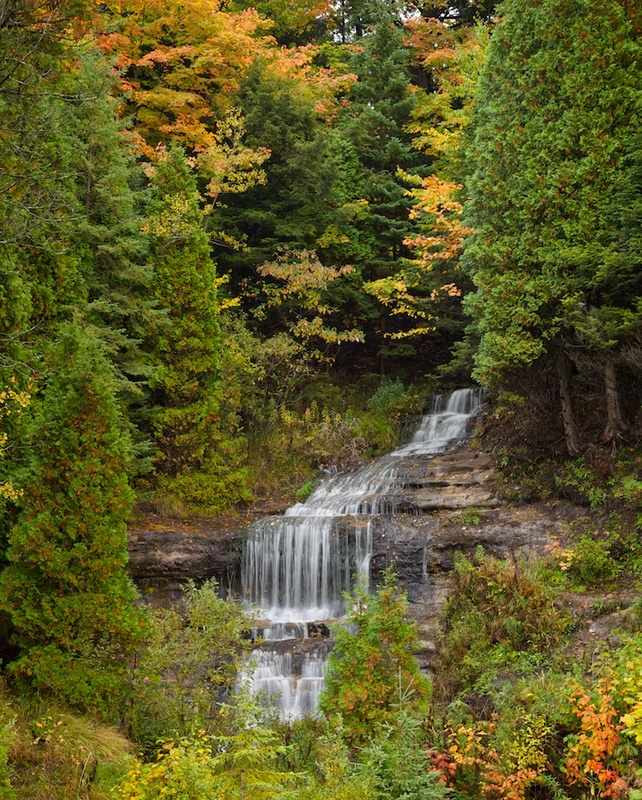 Alger Falls is just outside of Munising, MI. The falls are incredibly easy to get to. Just drive outside of town about 5 minutes and you can see them right from the street. This shot was taken after the leaves had started to turn, which set up a really nice looking landscape. Published October 9, 2013 at 822 × 1024 in Alger Falls.